MISSISSAUGA, Ontario — After winning the 2018 Sunset Speedway St. Onge Recreation Super Stock Championship, Coltin Everingham will be right in the thick of things once again. Knowing what it takes to win a championship now, Everingham wants to remain consistent with top-five’s on a weekly basis. Everingham knows he won’t have it easy, as several of his top-tier competitors will be back this season as well. While the focus will be on Sunset Speedway, Everingham also hopes to travel some throughout the summer, noting that he’d like get to Autodrome St. Eustache a couple times this year to rack up more points towards the NASCAR Whelen All-American Series Division II Championship. 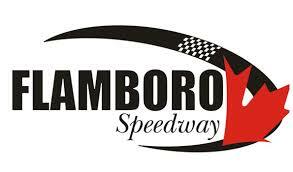 There is also a possibility that you will see him racing at Jukasa Motor Speedway, Peterborough Speedway, Flamboro Speedway, and potentially Sauble Speedway. There may even be an interesting twist in his season plans, with him entering the Lucas Oil Sportsman Cup race at Sunset Speedway. “As many races as we are able to do this year, we’re going to do it,” he added. Last year, Everingham was consistent on a weekly basis, as he scored 10 feature top-five’s and 14 feature top-10’s, with an average finish of 4.21 on record at season’s end. That said, the championship battle still came down to the last night with the points gap within five point at year’s end, as the top-four remained close throughout the season. “It was tough,” Everingham admitted. “I didn’t realize how tough it was going to be until near the end of the year. Like the last four or five races, the points gap was – I was second in points, 10 points behind Stefan Semeraro, and it ended up coming down to a tie with most feature wins, which is how I was able to get it. Despite his family having been involved in racing for three generations now, it marks the first title for the Everingham family.